On our trip to Punta Cana in the Dominican Republic, I wanted to make sure there would be plenty of activities to keep my kids busy. 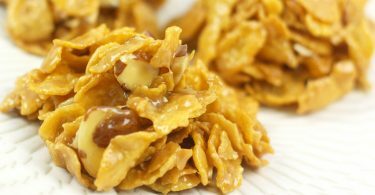 Unlike some other vacation destinations, there aren’t a lot of off-resort activities in the area suitable for young children. When hubby and I first visited Punta Cana on our honeymoon, we went spelunking at Boca del Diablo (The Devil’s Mouth), one of the largest cave systems in the country (which has since been renamed a rather silly sounding Cueva Fun Fun). But at three and five years of age, my girls are too young to go caving, snorkeling, horseback riding, ziplining, parasailing, or any of the other adventure activities nearby. 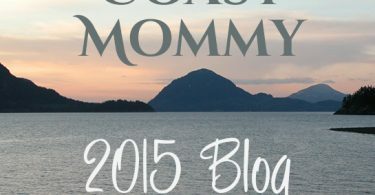 That’s why it was important to me that there were age-appropriate activities suitable for them at our resort, as well as opportunities for hubby and I to have some time alone. 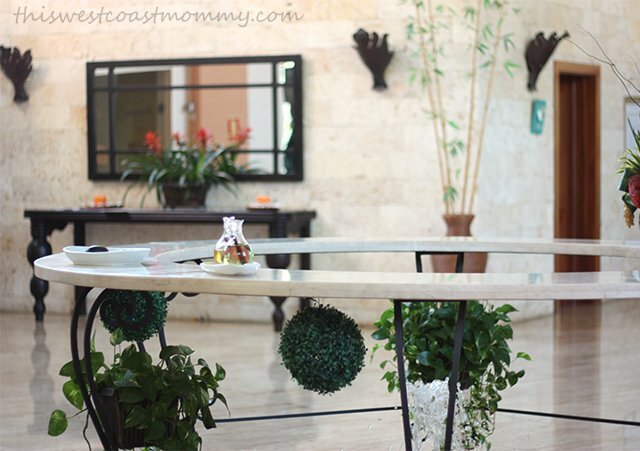 Happily, we stayed at the Grand Palladium Resort Complex in Punta Cana which offers a Kids Club for children 12 months and older, kid-friendly play areas and pool, and daily activities for kids of all ages. 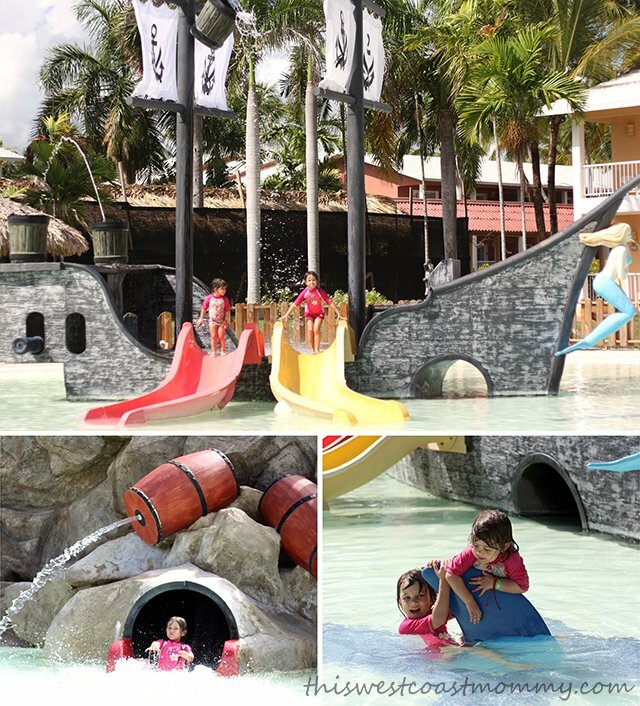 To start with, the resort boasts a newly constructed Castillo del Pirata (Pirate Castle) Kids Club modeled on a colonial fort offering tons of features and activities for kids. 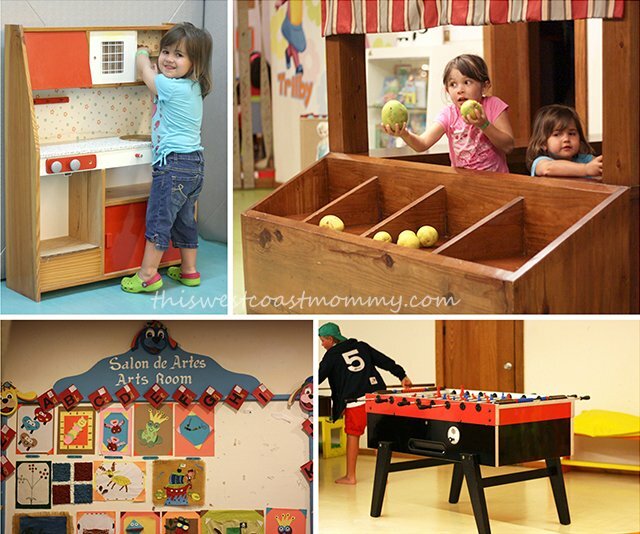 Both the Baby Club (1-3 years) and Kids Club (ages 4-12) are located here. 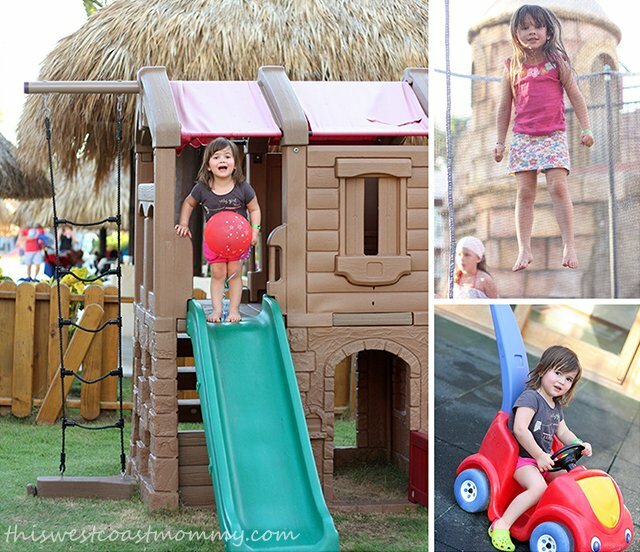 It has a generously-sized secure outdoor area with a small soccer area, climbing wall, sand pit, trampoline, mini zip line, and play structure. Inside the large building is a video game lounge, theatre and full stage where they show movies every afternoon, dress-up closet and make-up room, Hot Wheels room, arts and crafts area, small dining room, and a separate Baby Club area for the littlest ones just filled with age-appropriate toys. The staff were friendly and clearly loved kids. We felt totally comfortable leaving the kids here for the afternoon, and you take a miniature two-way radio with you when you leave so staff can reach you right away in case of emergency. We soon fell into a routine of getting up early for breakfast, heading to the pool to play until lunchtime, then dropping the girls off at the Kids Club for a few hours while hubby and I read and relaxed by the pool. Then we either picked up the girls for dinner, or we went for a romantic dinner alone before picking up the girls and taking them out for their own dinner. We visited the Grand Palladium during the off season so there weren’t as many kids around as usual. Unfortunately, this meant that some of the Kids Club activities ended up being cancelled at the last minute due to not having enough participants. 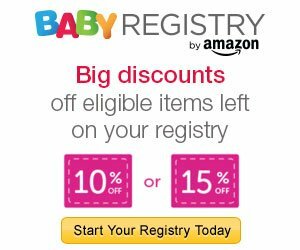 Another thing to be aware of is that the Baby Club and Kids Club are two entirely separate programs. With a toddler and a 7-year-old I don’t imagine that would be an issue, but my kids are close enough in age that they wanted to spend their time together. The upside of having fewer kids at the Kids Club though, was that the staff could be more flexible about accommodating the girls to play together, so things worked out in the end. I’ve heard that every now and then parents and teens like to take a break from each other too! 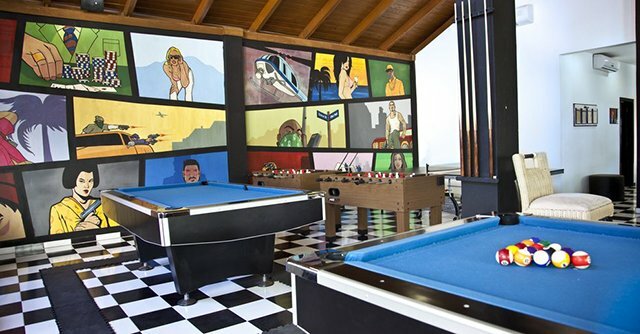 Fortunately, the Grand Palladium also offers the Black & White Junior Club for youth aged 13-19 with a full activity program and separate areas for video games, table games (pool, table tennis, foosball), and computers. The Kids Club is located right next to the main family pool and pirate ship themed kids pool. That was convenient for us as we spent the majority of our time in either of these two pools. The knee-deep kids pool and mini splash pad were perfect for even the youngest toddlers, and with a self-dumping water bucket at the top of the pirate ship mast and three water slides, it was lots of fun for older kids too. I love all the friendships my girls struck up while at the resort. They played with lots of kids, but they picked one particular girl from Manchester to be their very best friend there. They couldn’t stop talking about her, and Kay still mentions her once in a while. I suspect it started because they saw her wearing Peppa Pig flip flops, and when she said, “Hello!” in her Manchester accent they just fell in love with her. Later on Tee told me she sounded just like Peppa Pig too, so I guess that was what sealed the deal. 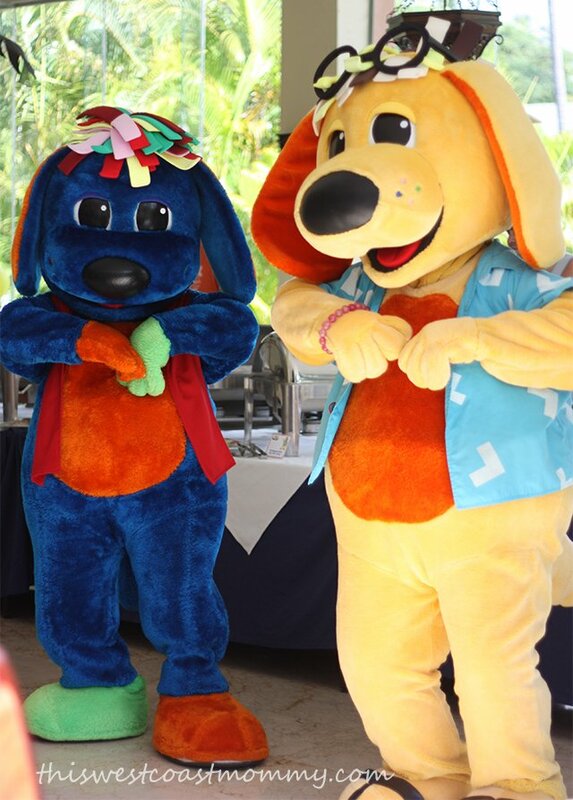 One of the most unique features of the Grand Palladium kids’ program is their cool partnership with the Raggs band. My girls weren’t familiar with the show before we arrived, but they quickly became fans of those rock n’ roll playing dogs Raggs, Razzles, Pido, B. Max, and Trilby. The costumed characters visited the Kids Club on a daily basis, and the resort also offered a special breakfast with Raggs once a week and a party at the disco on Thursday nights. Of course Tee and Kay attended both of these special events. 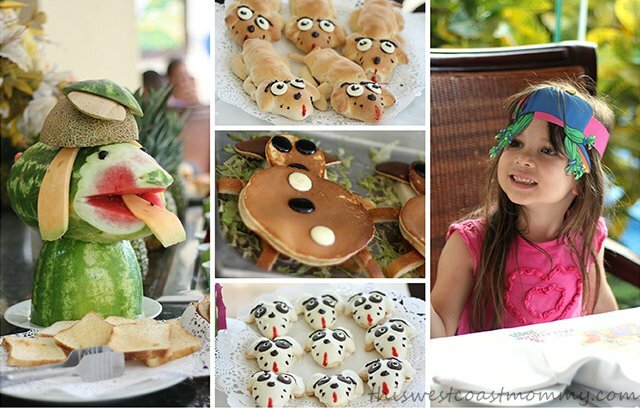 At the breakfast, all the food was decorated to look like the characters, and Raggs, Trilby, and Pido entertained all of us with a mini concert. 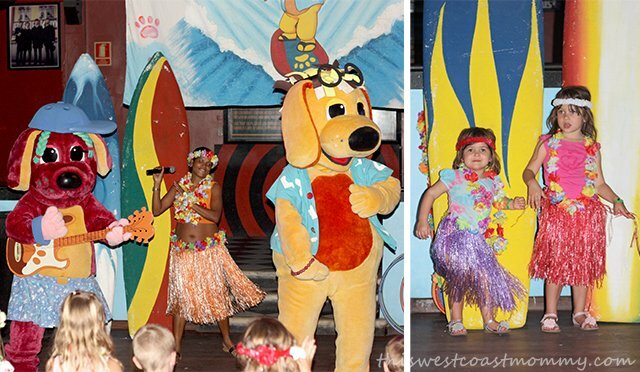 On Thursday night, Pido’s Surf Party brought all the kids out to the disco for an evening of grass skirts, limbo, and dancing with the Raggs gang. There were lots of pop-up opportunities to see the Raggs characters around the Kids Club and pool, and one day the staff even came out to the pool area and set up this adorable photo opp for all the mermaids. I love this picture! When we booked our trip, the kids were disappointed to find out we’d be missing Halloween at home. They perked right up when we discovered that the Kids Club staff had organized a big Halloween party for all the kids at the resort, including costumes and make-up. 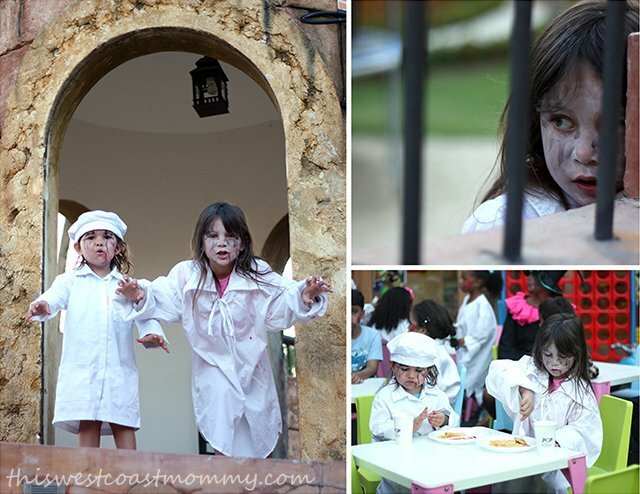 The girls loved dressing up, and I thought they looked pretty spooky in their ghost costumes. Even though this was a family vacation, hubby and I were able to take several sunset and moonlit walks along the beach while the kids were playing at the Kids Club. Since having kids there hasn’t been much time for those romantic walks, and it was such a delight to be able to do it again, in the same place where we honeymooned almost ten years ago. Okay, so we’ve established how much there was for kids to do at the Grand Palladium, but what about us? I mean, the whole reason we looked for a resort with a full-featured kids club was so that hubby and I could have some time to ourselves. As much as we love our kids, every couple needs to take time off from parenting once in a while! Trust me when I say there is always something going on here. The talented People of Palladium team organizes games and activities all day long at the beach and main pools: beach volleyball, stretching classes, water volleyball, Spanish lessons, bingo, water polo, dance lessons, trivia, beach soccer, Frisbee, and more. 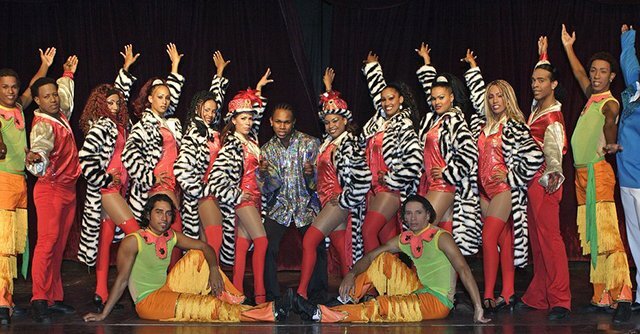 They also perform in the nightly themed entertainment shows. These are some of the hardest working people I’ve ever met! There’s no shortage of evening entertainment either. If you have young ones, you can even arrange through the resort for a trained and screened nanny to watch the kiddos while you relax and have a good time. For a little more adult fun, there’s the casino by the Grand Palladium Palace lobby. Unfortunately, it was closed for renovations while we were there so I didn’t get a chance to visit. 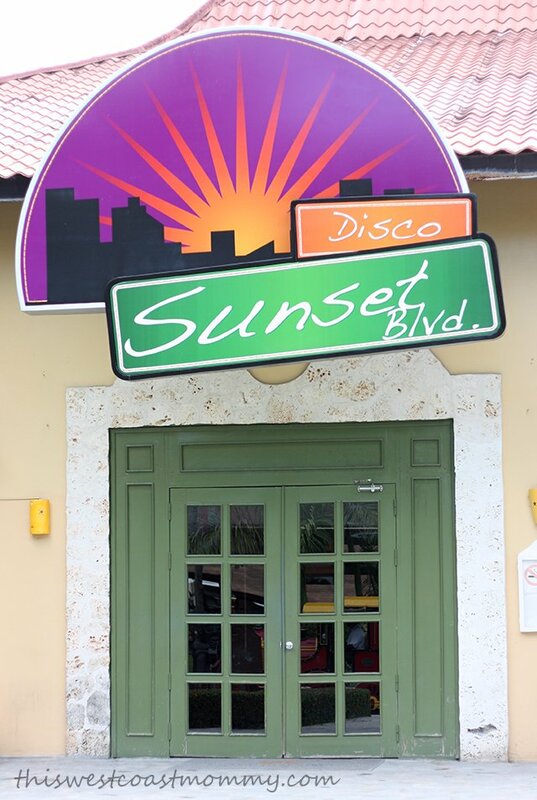 You can dance until 2:00 am at the Sunset Boulevard disco by the Grand Palladium Bávaro lobby, enjoy the nightly shows at the Teatro Merengue, or listen to live music every night at any of the lobby bars. On Monday nights, head down to the beach party with live music and dancing! 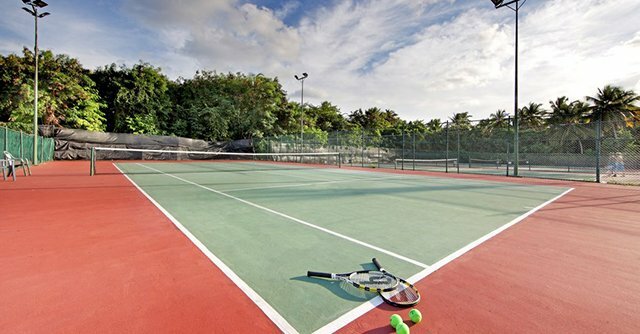 Or if sports are your thing, there’s a huge sports centre with archery lessons every morning, 6 tennis courts, 6 petanque courts, 4 paddle courts, basketball court, soccer field, and mini golf. 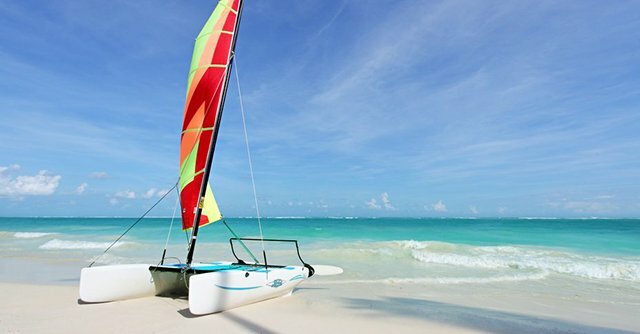 And then there’s all the water sports down on Bávaro Beach like catamarans, windsurfing, and kayaking. You can also book a fishing trip or a diving and snorkeling excursion to Isla Catalina, take catamaran/windsurfing lessons, or schedule a glass bottom boat tour. We didn’t get to go parasailing, but it’s on my bucket list. Wouldn’t this be amazing? Talk about a view! For those looking for a more relaxing time (and yes, that would be more my style! ), there’s a full service Zentropía Palladium Spa & Wellness Center on site, next to the Grand Palladium Palace lobby. It’s a full-featured luxury spa with a full beauty salon, water zone (sauna, Turkish bath, hydromassage), and an attached gym with weights and cardiovascular equipment too. You can book pretty much any service you like at the spa, but if you have the chance, go for a massage in one of their palm shelters right on the beach. This was seriously one of the best moments of our trip. 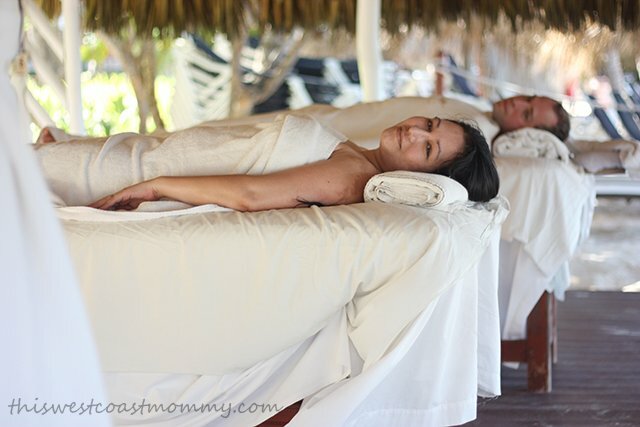 I don’t think hubby and I have gotten a couples massage together since before we were married, and I can’t even tell you how relaxing it was, lying there on the beach smelling the ocean and feeling the breeze on my skin. Both our masseuses were very professional and skilled. I’m pretty sure I fell asleep on the table. I can’t wait to return to this paradise, and the kids are still talking about their awesome vacation months later! Looking through all my pictures and writing this post has me yearning for those lazy, sunny days and tropical nights with nothing to do but relax. If I had my way, this would be an annual trip for us! I’m going to wrap this up with a photo I took one warm evening near the end of our stay. 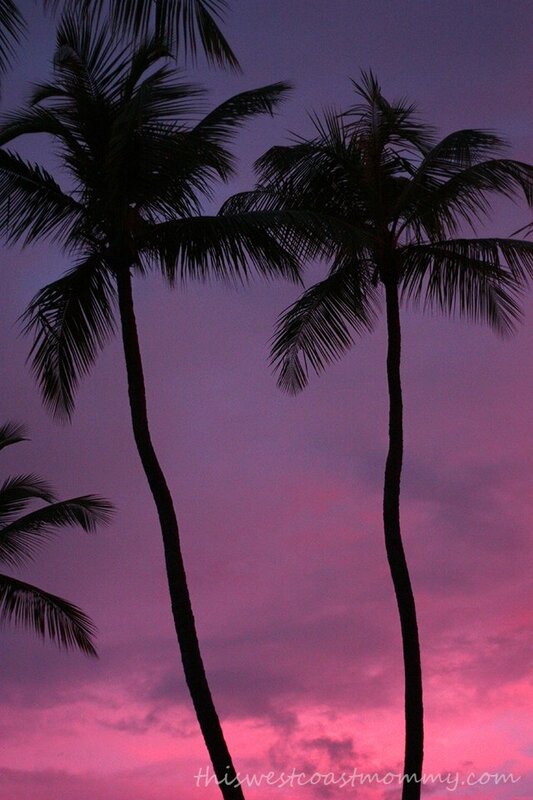 Enjoy this stunning Caribbean sunset sky for a minute and just imagine being there, standing under a palm tree watching the sun’s last rays reflect off the shimmering Caribbean sea and the stars slowly come out one by one. Be sure to check out Part I of my review covering our impressions of the grounds and amenities at the Grand Palladium Resort. Visit the Grand Palladium website to learn more about the resort and connect on social media via Facebook, Twitter, and Instagram. This looks like so much fun! My grandson is only 2, I’ll let my daughter know about this hotel. I think she and her husband need a vacation and here would be great! That pool looks amazing! 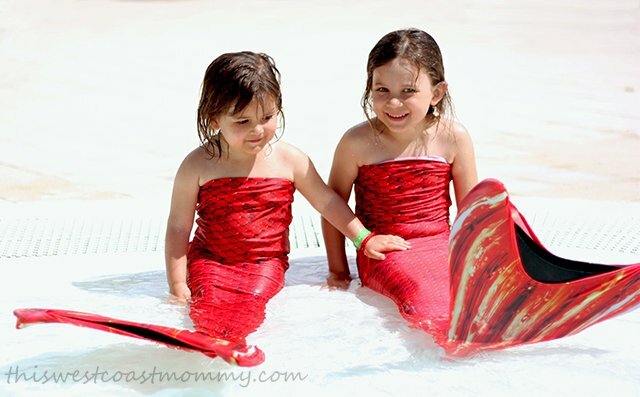 And oh man, my girls would be in LOVE with those mermaid tails!! Hello? How fun was THAT! 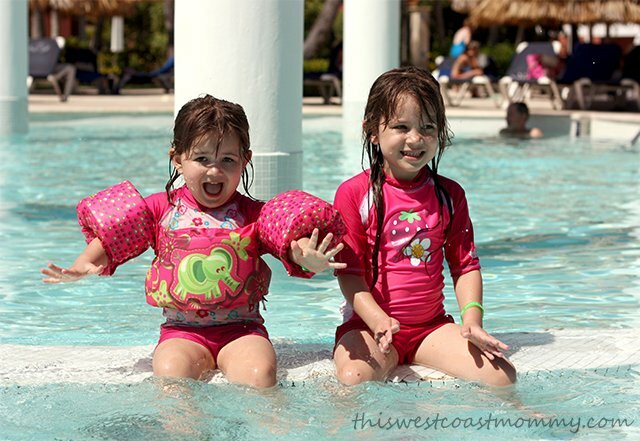 I have to admit, I always think that resorts are the best place to vacation with kids. You get to relax and they get to have a good time, eat great food and GET DRESSED UP… awesome. Looks like a wonderful time had by the kids! 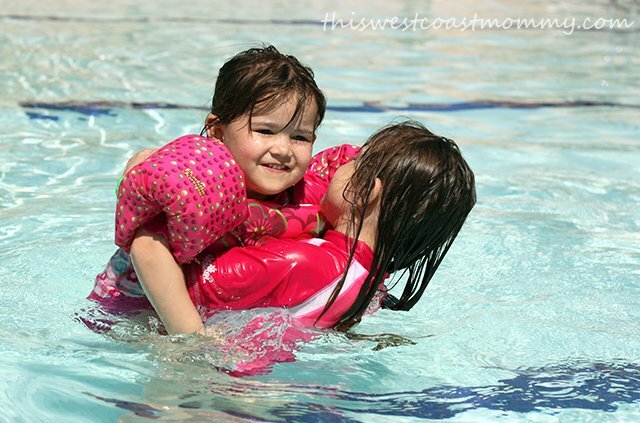 My little one would never want to leave the water. Love the mermaid shot! This sure looks like the spot to take children with so much to do to keep them busy and occupied while enjoying their vacation destination. So nice of the kids club to do a Halloween party it really shows they think of everything. Wow,thanks for the post who knew there were so many things to do.Beautiful photos ! Looks AMAZING!!! Ive been parasailing!! The view is AMAZING!! It was oddly a little boring though lol!! Ive never been to the Dominican but man does it look amazing!! So jealous of the massage on the beach! 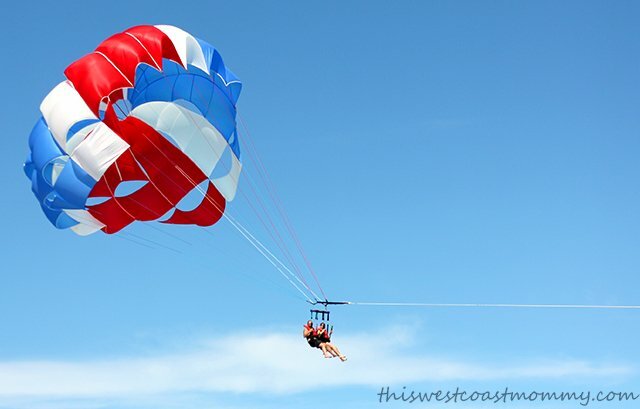 This place looks amazing and I have always wanted to go parasailing, I know that must be fun!! and who wouldn’t want to get a massage. Looks like a lot of fun. The water is really blue and the night view is awesome. Great selection of varied activities for adults. Nice to have things for kids and adults to have fun doing. This place definitely looks like a very relaxing and fun place to visit! I can’t wait until the day that I can actually take a vacation! 🙂 My kids are super young. Despite never being able to afford to go there myself, the article was well documented / written to provide it in a way that inspires me to want to visit even more! There’s obviouisly things to do for all generations to enjoy! What a beautiful travel you had! I love to have this dream vacation! You and your family are lucky. I love this resort! This is where we went for our destination wedding as we had kids and babies in our group and it was perfect for everyone! We got to go kitesurfing, paddleboarding, the beach was awesome, and the kids loved the kids’ section. So great! Haven’t travelled outside Canada since 1982 – Hawaii. Always wanted to travel to Punta Cana – these adult events look spectacular. A place that parents truly can go and have a great time for sure. Thanks for your post. I’m so excited we just booked a week here for the whole family next February! Hope it’s as good as it looks here! Looks like the perfect place to travel with your family. Something for everyone.